Harvey Building Products is a well-known producer and distributor of home and building products. Starting as a family-owned business in 1961, it has provided its customers in the Northeast with premium quality window, doors and patio rooms of various designs they can choose from. 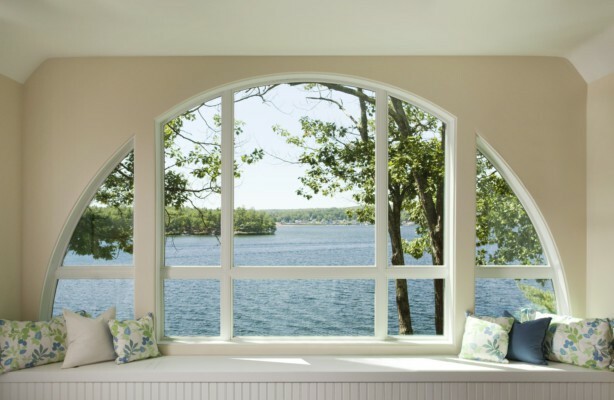 Throughout the years, it manufactures all its window products in its headquarters in Waltham, MA. Just recently, it was able to develop a high-technology manufacturing plant based in Londonderry, NH. Harvey Building Products is also a leading wholesale distributor of building products ranging from windows, doors, siding, roofing, and decking. Its branches have been known for their good customer services that they were able to reach and get a large market in the industry. Besides its own products, Harvey also sold other products from partners it had established strong partnerships with such as CertainTeed, Tamko, Alcoa/Mastic, GAF/Elk, James Hardie, Velux, Therma-Tru, Andersen and AZEK. This is an aluminum-made storm window crafted to fit existing prime windows. It is highly energy efficient, provides extra insulation and easy to operate. It is the top-performing storm windows in the market. This is a mixture of wool piles and weather stripping barriers that are both strong and durable. It has a deep blue colored vinyl glazing and is equipped with a sash ride on concrete wheels, sash locks with springs and vertical sash parts that have extrusions that are hollow. This is made of an aluminum master frame that is heavily extruded. It is equipped with marine varnished slots that are removable from the outside. Its screwed corners allow the varnishing of the window for a more enhanced look. Its sash locks are spring-laden for a better security. The sash members are empty extrusions, and the internal and external mounts are configured for a perfect fit. This is the most inexpensive configuration and is simply made of clear insulated glass. This passes the Energy STAR standards. The gas, glazing, and glass thickness, among others, vary depending on the window. It is equipped with Argon and Low E-coat. This exceeds the Energy STAR requirements. It is treated as the company’s highest quality creation and is displayed as a Tribute window. It has triple glazing and uses krypton gas for optimal energy efficiency. Selected Harvey windows have BetterGrain finishes that give the windows the look and feel of natural wood. It is a better alternative to veneers, laminates, and foils. It is available in Pine, Red Cedar, and Dark Oak finishes. Harvey Building Products are offered at different warranties depending on whether the window is made of vinyl, wood, impact, acoustic and storm. Find Harvey window costs in our window costs ection.